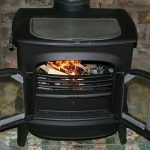 Gas appliances are used on a daily basis in homes up and down the country, and they can often be taken for granted. 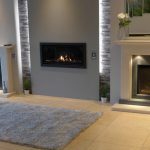 However, a faulty gas appliance or a poor knowledge of gas safety can be very dangerous, which is why this article will look at some key points to keep in mind when it comes to being safe with gas. 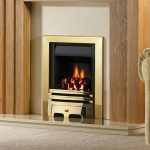 This is perhaps one of the most important things to remember – by getting an accredited and registered professional to inspect your gas fire or boiler regularly, you will be able to keep track of its performance and be well aware of any potential faults or issues. This will allow you to have your appliance repaired or replaced before any serious problems arise. Carbon monoxide is lethal and is near-impossible to detect. However, by installing a carbon monoxide alarm, you and those in your home or building will be warned of any leaks that may arise from faulty or wrongly-installed gas appliances. Installing a carbon monoxide alarm next to your appliances to ensure your alarm sounds as quickly as possible if a leak occurs. 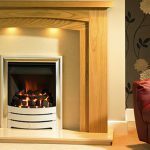 By ensuring that your appliances are installed, repaired and inspected by an accredited engineer, you can greatly reduce the risk of carbon monoxide leaks. Make sure any engineer that is working with your appliances in Gas Safe registered – although you may save a small amount of money by using an un-registered engineer, using an accredited professional can keep any risk of carbon monoxide leaks down to a minimum. 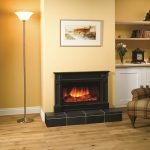 In the unfortunate event that you do experience a carbon monoxide leak, it is important that you are aware of the symptoms of carbon monoxide poisoning, as this will help you detect and react appropriately. If you do fear that you or someone in your building has carbon monoxide poisoning, call the emergency services, evacuate your building and contact your gas provider to arrange a course of action. 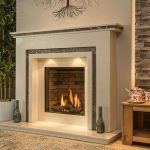 Here at The Fireplace Studio, we make the safety of our gas fires an absolute priority. 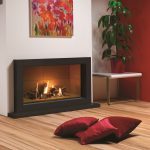 When you buy a gas fire from us, you don’t just benefit from our expert knowledge and advice; your fire will also be installed by a Gas Safe registered engineer with a wealth of experience dealing solely with gas fires. 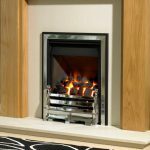 We will ensure that your fireplace is installed to the highest standards in terms of both aesthetic quality and safety, so whether you want a new fire installed or your current gas fire is suffering from a fault, get in touch with us today and we’ll be happy to help.